This is a beautiful, handmade pretty crochet scarf. This plush faux fur scarf is created with stylish eyelash yarn, handmade crocheted with an intricate pattern variation of the v-stitch in brick repeat crotchet stitch. 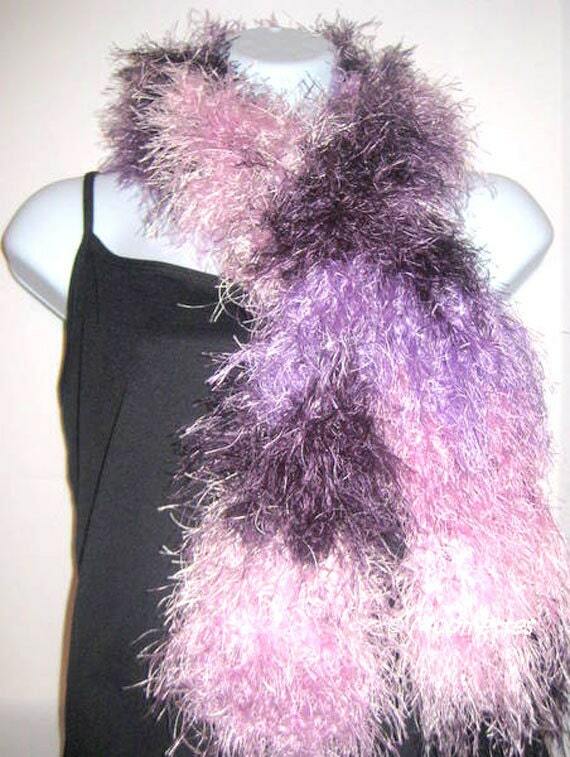 A perfect fashion accessory for any time of year, this lightweight, fun fur airy scarf would compliment any fashionista wardrobe, from casual weekend wear to business casual attire.